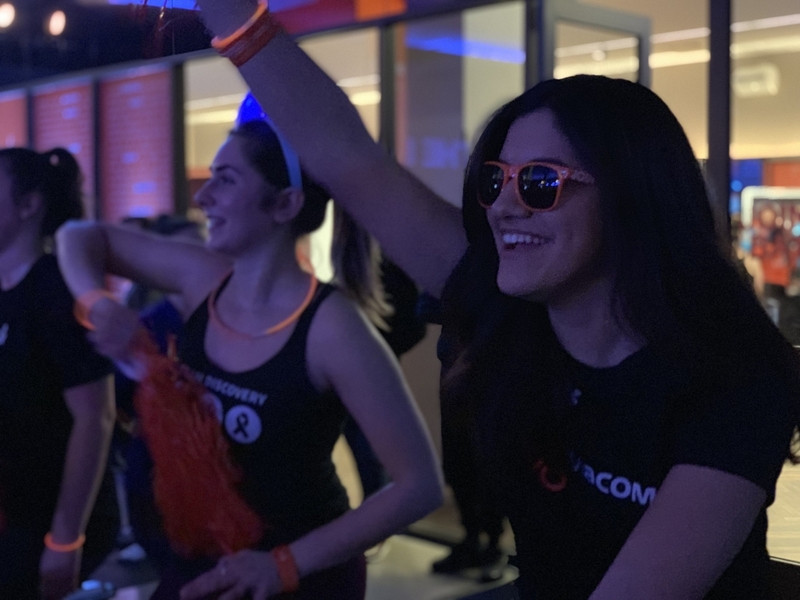 Decked out in glow sticks and pom-poms, Team Viacom gave it their all and biked their way to fundraise thousands of dollars for Cycle for Survival’s Media and Tech Ride to help fund cancer research for the Memorial Sloan Kettering Cancer Center. 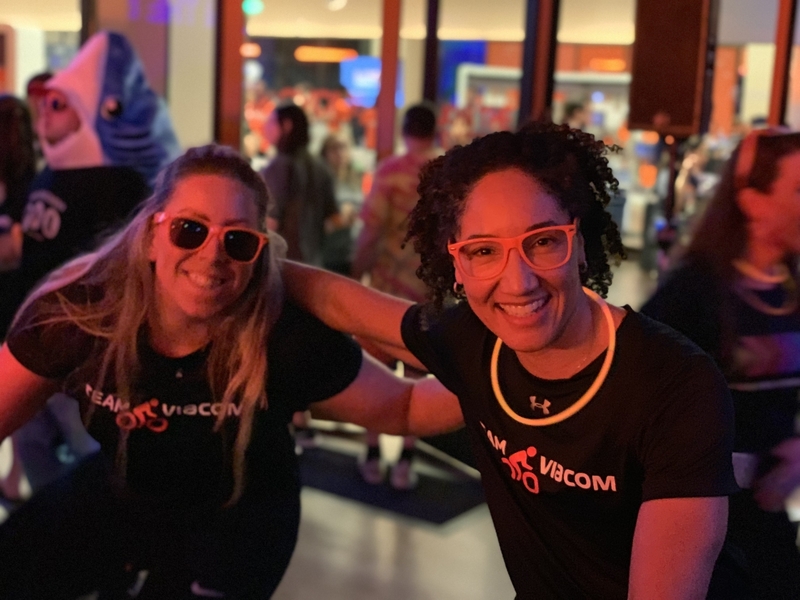 At Equinox in Los Angeles and New York, hundreds of innovators from brands such as Google and Facebook gathered together to rally behind one goal— to beat rare cancers. 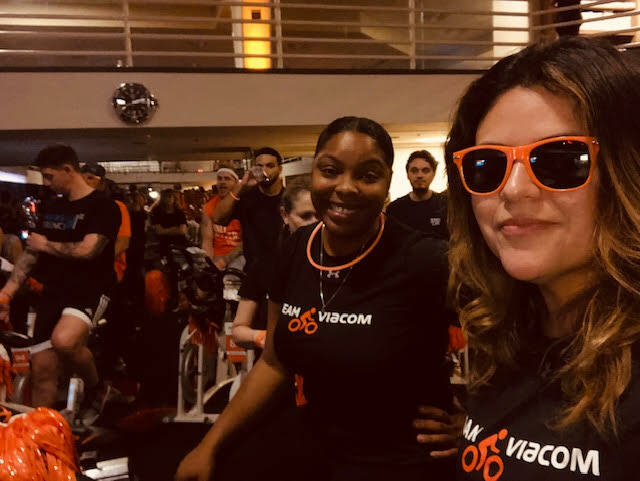 With employees from Viacom’s Los Angeles and New York offices, each team had two bikes to ride as they swapped members to tackle the four hour long session. 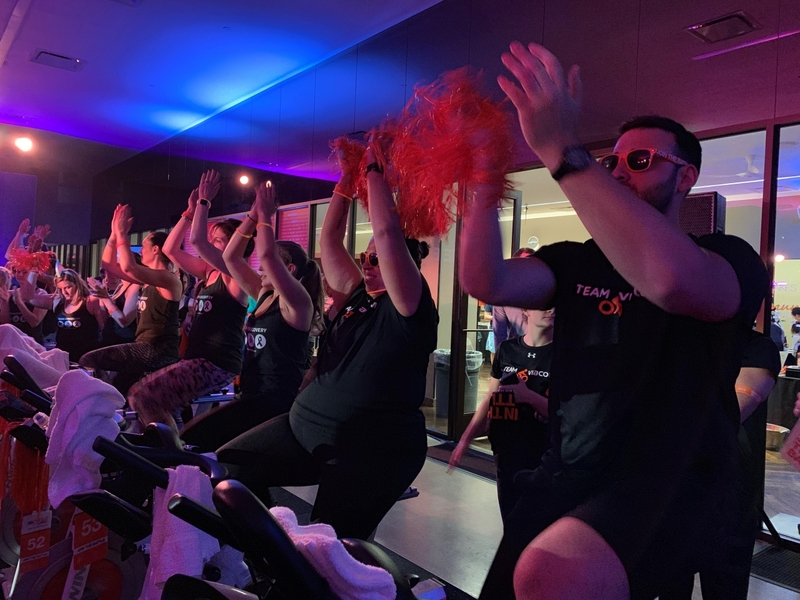 Participants cheered and cycled to the beat of fan-favorite songs like Queen’s We Are the Champion and Journey’s Don’t Stop Believin’. 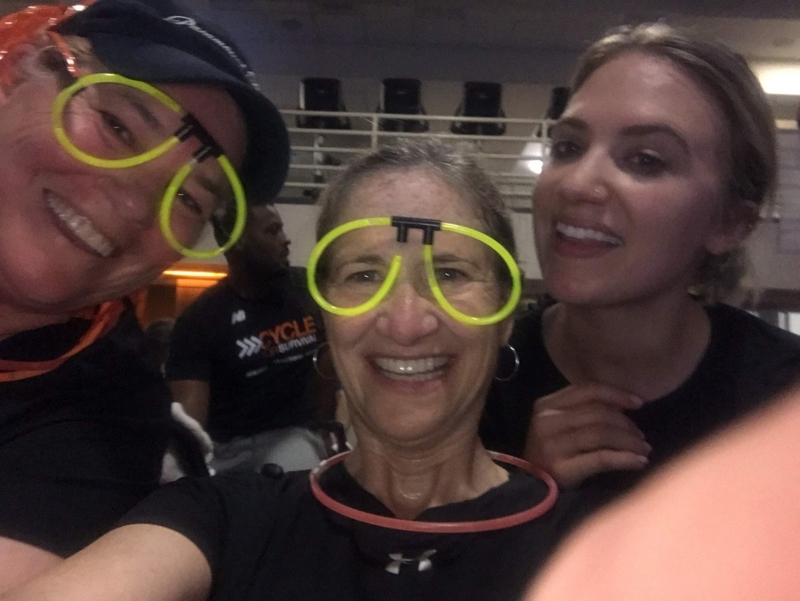 Cycle for Survival was founded by Jennifer Goodman Linn and her husband Dave Linn. Jen had previously worked as the SVP of Brand Marketing at Nickelodeon where she led the brand and its overall company initiatives. In addition, she worked on the marketing for pro-social initiatives, spearheaded the company's multicultural marketing efforts, and oversaw consumer and trade advertising. At the age of 33, Jen was diagnosed with MFH sarcoma and led a courageous seven-year battle with a rare form of cancer. After a fearless fight, Jen passed away in July 2011, but her legacy continues to live on to help fund groundbreaking discoveries in cancer research. 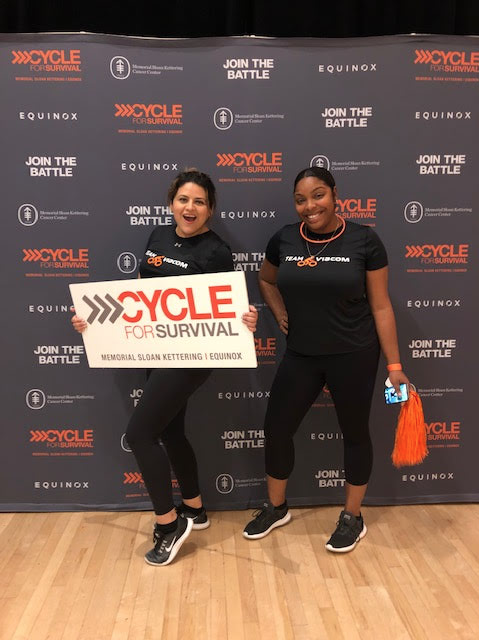 Since partnering with Memorial Sloan Kettering and Equinox, Cycle for Survival has raised more than $220M and has garnered over 36,000 participants. 100% of all funds raised are used to fund rare cancer research such as brain, pancreatic, ovarian, stomach, all types of pediatric cancers, and many others. 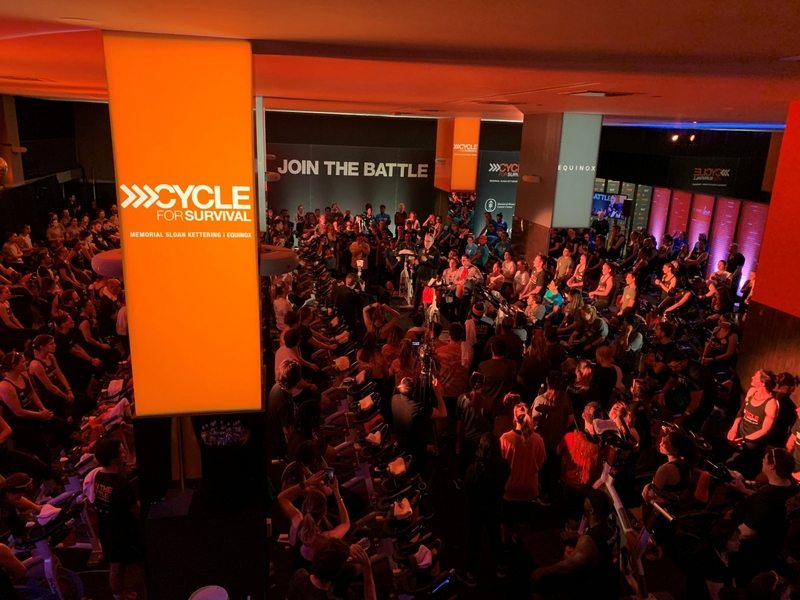 According to Cycle for Survival, research on many rare cancers is drastically underfunded, often leaving patients with limited or no treatment options. 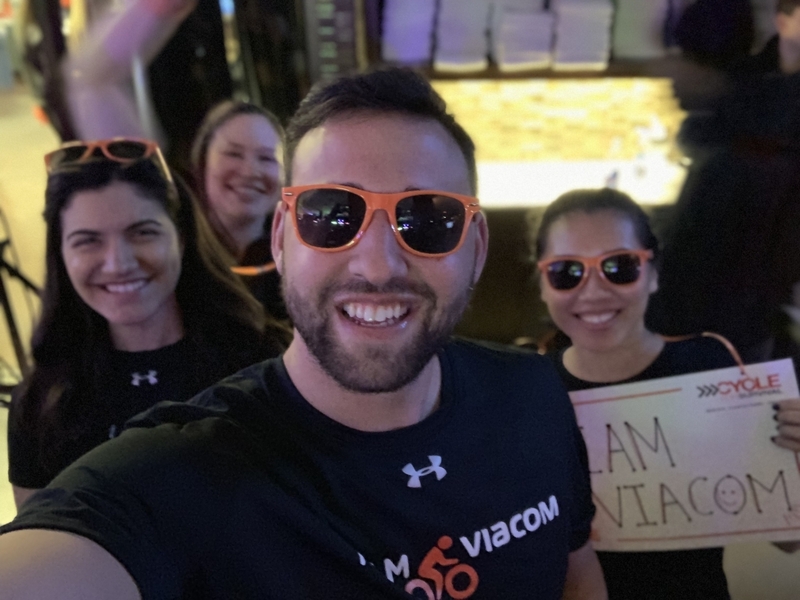 “It’s a really meaningful experience for me to ride with Team Viacom knowing that, not only does Jen’s legacy live on through Cycle for Survival’s mission, but also through Viacom employees’ commitment to giving back. It was an honor to share this experience with coworkers of hers who ride in tribute to her, share her story, and continue to come together for a good cause,” explained Rita Papadogiannis, Sr. Coordinator of Viacom Corporate Social Responsibility. This was her third year riding with the New York team. 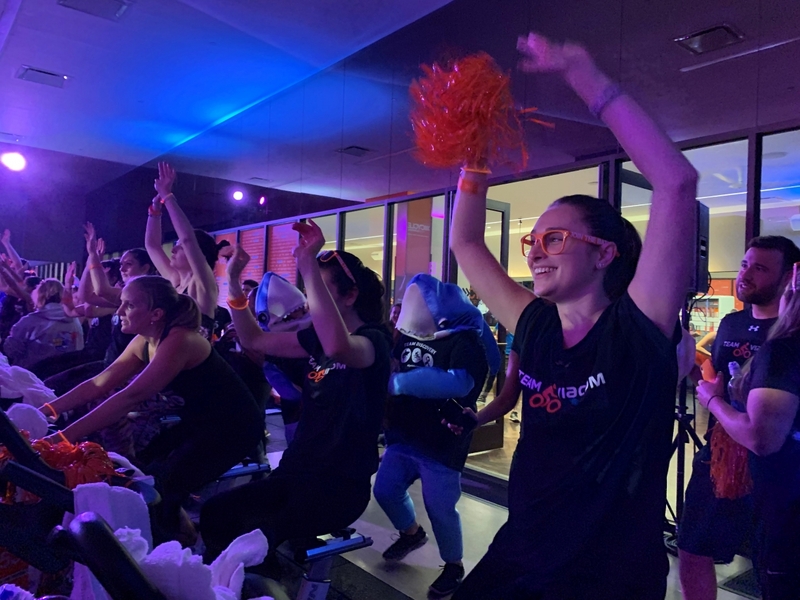 Pedaling into her twelfth year from the New York team, Tara Biamby, Executive Assistant to the Nick Research team said, “To witness the event grow in terms of locations, participants, sponsors, fundraising and overall awareness is extraordinary. The doctors from Memorial Sloan Kettering, the survivors, and friends & family that speak at every event provide so much encouragement and inspiration, and it creates a unique energy at every Equinox.” What started as a small movement has generated huge growth all around the world. 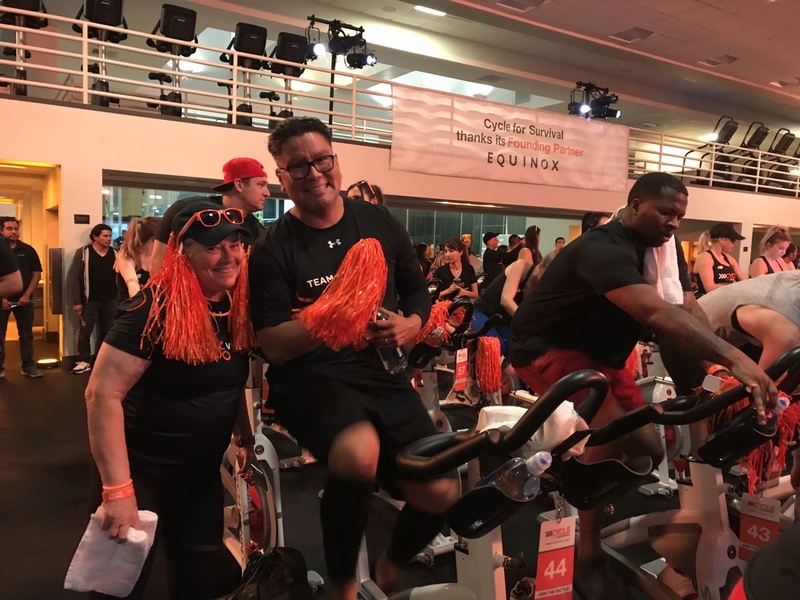 Participating in Cycle for Survival was truly a memorable event and one that bridges together the most passionate people fighting against cancer.